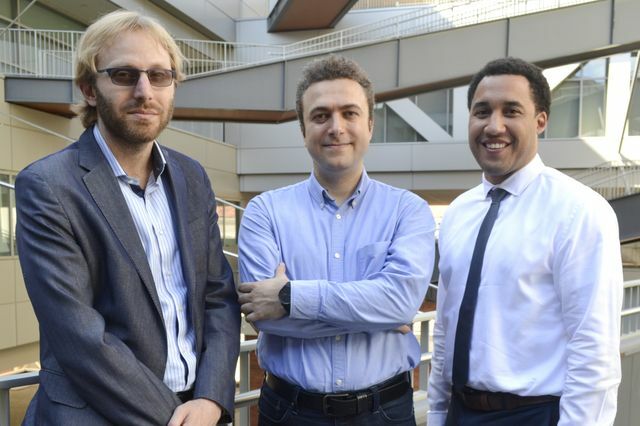 Professors Dino Di Carlo, Aydogan Ozcan and Omai Garner will lead UCLA’s participation in the four-university initiative, which is funded by the National Science Foundation. One of the enduring problems in America’s health care landscape is managing chronic disease among people who live in low-income communities. Because access to health care services is so often a challenge, many who have serious illnesses and live in these neighborhoods aren’t diagnosed until their health worsens — and when the cost of treating their diseases are higher. To address that need, experts from UCLA, Texas A&M University, Rice University and Florida International University are joining forces to develop technologies to help people with diabetes and cardiovascular disease, two of the leading causes of death in low-income communities. With funding from the National Science Foundation, the universities have formed the Precise Advanced Technologies and Health Systems for Underserved Populations engineering research center, or PATHS-UP. The consortium aims to create health monitoring devices to prevent, delay and better manage diabetes and heart disease. The UCLA effort is being led by Aydogan Ozcan, Chancellor’s Professor of Electrical and Computer Engineering; Dino Di Carlo, professor of bioengineering; and Omai Garner, professor of pathology and laboratory medicine. 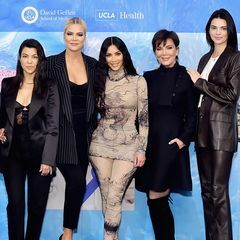 They will develop wearable and mobile technologies that will be tested by doctors and patients in neighborhoods in South Los Angeles that have a higher-than-average incidence of chronic disease. 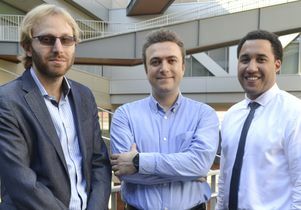 The technologies UCLA researchers intend to develop will help doctors and patients themselves easily conduct their own health screenings. As part of the project, the team will also develop algorithms to help doctors be more aware of potential long-term complications, so they can advise their patients on diet, medication and lifestyle changes that might help them stay healthier. PATHS-UP is initially being funded by the NSF Directorate of Engineering — the initial grant of $19.75 million for five years can be renewed for another five years and $15.56 million — but it is expected to be self-sustaining within 10 years.